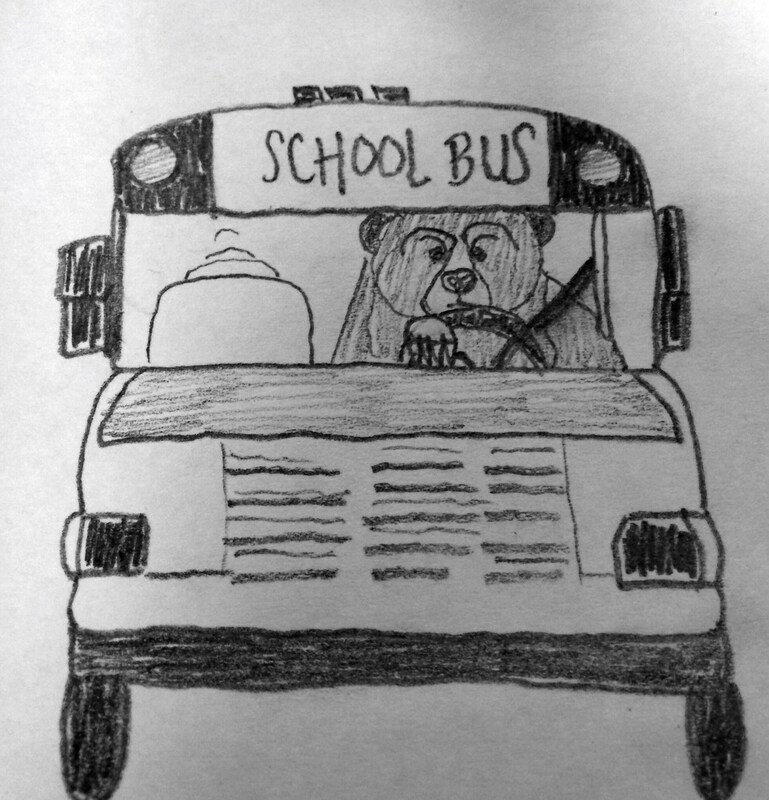 In my last post, I may have glossed over the whole ‘being sick’ thing, because this morning I’m pretty sure I saw a bear driving a school bus. 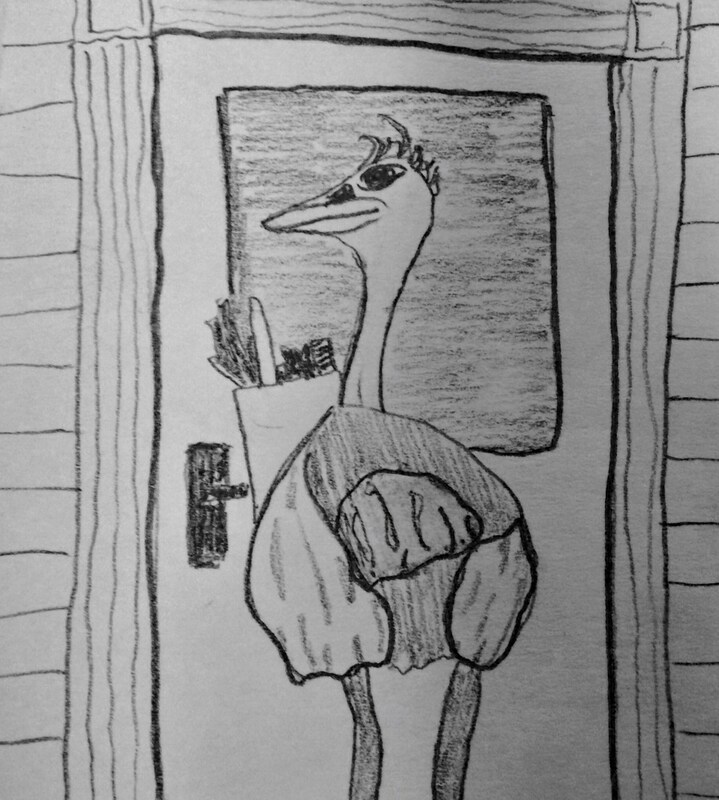 I could blame this on the angle and intensity of the early morning sun, but the fact is I saw an emu carrying groceries through a side door while on a run two days before. It was neither, but rather a woman wearing a down vest, leaning in to open a side door with an armload of groceries. It was around this point that I decided not to run 5 miles but shoot for 3 miles instead. I was not well. I spent Saturday night and much of Sunday feverish and resting while my husband cleaned the house and raked the leaves and did other Cinderella-y things. I feel much better today, though still a bit wary after the bear-driving-a-bus thing. Running can wait. Resting is harder, it seems. I haven’t run in two weeks because last week I had a terrible cold and did something I’ve never done before, which is rest and sip hot tea, which felt suspiciously like progress until I realized I also felt hella guilty for not running. This week I haven’t run because it’s too dark in the morning and I can’t bring myself to wear a head lamp because I’m too afraid the neighbors will think I’m an early morning burglar in a hurry or more likely just ridiculous looking. Sooo, instead of running to blow off steam, I rediscovered the joy of gratitude lists! Here are some things that kept me sane (?) in the last week, and I am very grateful for them. 1) Playing McDonald’s drive-thru with my 5 year old, which is this game where I sit on the front porch and she pulls up in her purple big wheel and I pretend the one cat that stares at us from the window is my manager and the other cat is preparing the food and that’s why she can’t see her, and basically we eat apples and caramel dip and everyone has a job and we’re happy. I know she can’t be having as much fun as when I was little and my dad pretended the wagon was not only a car that flipped over but also the ambulance that came to my rescue, but my game does involve caramel dip. 2) Dancing! I hadn’t danced since Prom night 1991 when one of my friends on the dance floor astutely but insensitively noted that it looked like I was doing aerobics, but last weekend I said to hell with that and swung my kid around the dance floor at oktoberfest and had so much fun I never missed the beer I wasn’t drinking. Highly recommend dancing like you just don’t care. 3) My husband, who just texted: Found a dollar in a cemetery, think it’s haunted? And no, I have no idea why he’s in a cemetery in the middle of the day or why he thinks there’s a chance that dollar isn’t haunted. Also he’s the one who pretended our one cat yelled g-g-g-ghost! as he ran out of the room suddenly like cats do, and now I can’t stop thinking about it and it always cheers me right up. I am grateful for at least two more things, including health insurance and a car that’s still under warranty, but I don’t have any fun side-anecdotes about those. Mostly I’m grateful I have so much to be grateful for, which is really the whole point of a gratitude list. At dinner the other night, my daughter matter-of-factly announced to her friend that I’d eaten most of her Halloween candy last year. I might have protested if it hadn’t felt true. Also, her friend had just admitted her parents confiscate all the Halloween candy on November 1st and blame it on some nefarious Candy Fairy, so I guess I was feeling a step above that. What a difference a year makes, and then again none at all. For the last three months, my stress levels have been through the roof at work and sugar intake has skyrocketed accordingly. It’s my favorite vice and it eases suffering in some way I don’t really understand but do accept. I have fallen off the sugar wagon, which incidentally has peanut cup wheels with gum drop hubcaps. The carriage is constructed of solid, buttery toffee and the driver sits atop an oreo cushion (double stuff, of course), armed with a red licorice whip. I guess the only reason I didn’t want to fall off the wagon in the first place is I feared it might get away from me and then I could never nibble on its many delicious parts. I’m not giving up or giving in, though the wagon description did make me very hungry. I am only admitting as proudly as I can that I haven’t got this thing licked. Or I do have it licked and that’s the problem. I’ve come to a certain amount of peace in accepting that my love of sweets is as much a part of me as my love of solitude and office supplies. I’ve given a lot of thought lately to this expectation that I can remove a character defect that has been with me, I suspect, from the womb. For now, it feels easier to accept that I have a problem and always will. I’ve definitely made measurable progress overall in the last year, which I hear is the goal. This feels like enough for today and, in fact, it feels pretty great.